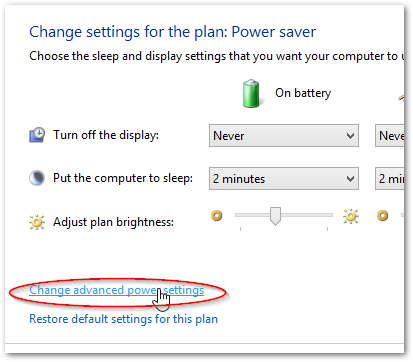 Issue: A laptop running Windows 8 sleeps every 2-5 minutes when it is woken from sleep by a USB keyboard or mouse. Run the file and provide the necessary administrator permissions. 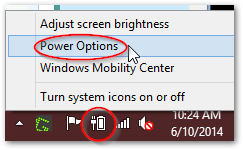 Right click on the battery icon in the system tray and click “Power Options”. 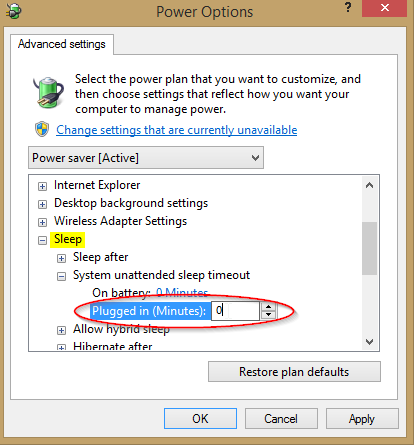 Expand the “Sleep Tree.” Under “System unattended sleep timeout,” change the values to 0.